Today as I was downloading photos from my phone, this one caught my eye. 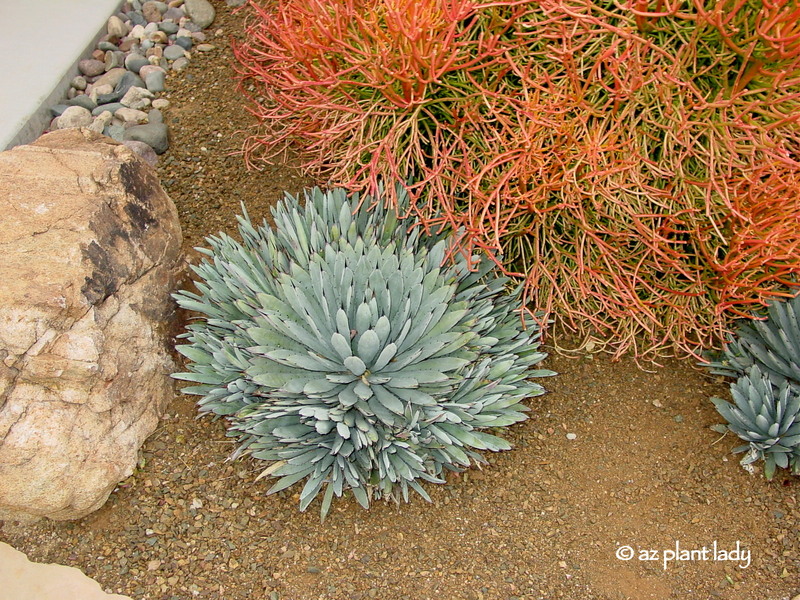 It is a picture of an artichoke agave (Agave parryi ‘truncata’) along with her babies. For some reason, it spoke to me about family relationships. Some of her tiniest children are venturing a bit too far like our kids do as toddlers when they walk into the street without any fear. Some of her tiniest children are venturing a bit too far like our kids do as toddlers when they walk into the street without any fear. Then there are those slightly older babies who I like to describe as ‘tweens’ who still enjoy their mother’s protection while looking outward into the world. Then there are those slightly older babies, nestled under their mother’s protective leaves, who I like to describe as ‘tweens’ who still enjoy their mother’s protection while looking out toward the wonders of the world. The medium-sized agave baby is the teenager who enjoys the illusion of independence while still being attached to their mother by an underground root – kind of like relying on their parents for allowance, paying for their phone, and driving them where they need to go. I especially love the largest of the babies and the relationship to its mother as it speaks of my relationship with my two oldest daughters. They are individuals, yet they enjoy being close to their mom and go to her for advice and even enjoy hanging out together. Many species of agave propagate themselves by producing ‘pups’, which are attached to the parent plant by an underground stem. These new agave can be removed and replanted elsewhere in the landscape. It’s not hard to do and I wrote about how to do this, which you can read here. 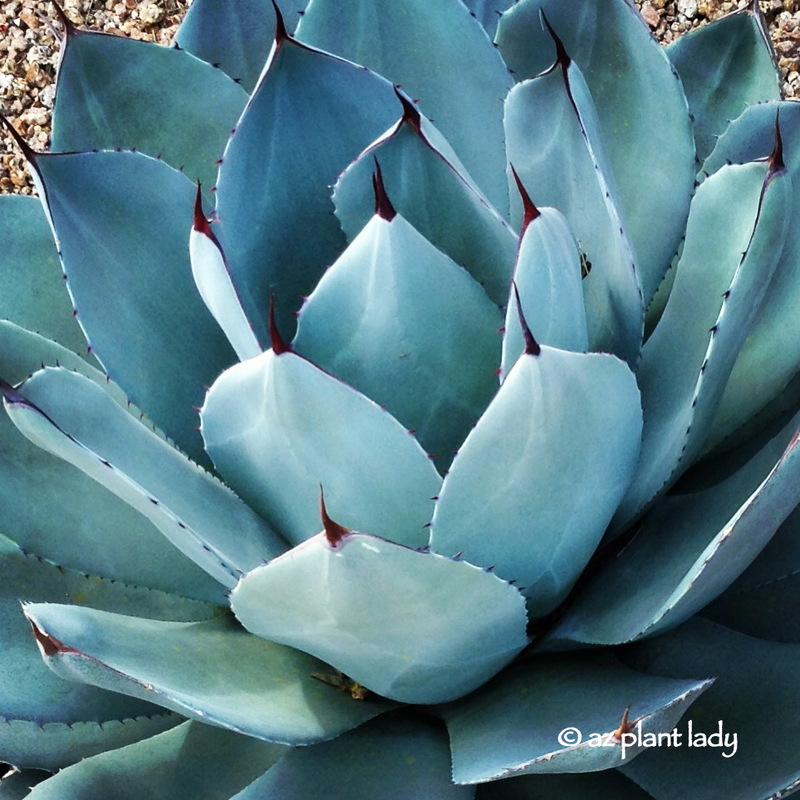 Have you ever replanted an agave baby? As I began my trek through the desert, I found beautiful specimens of cacti, plants and even some wildlife, but I also found a few skeletons as well….. This beautiful Saguaro was one of the first cacti that greeted me on my walk. The first skeleton I came across was from a Saguaro cactus; part of it still standing upright. You can see where top part of the skeleton has fallen to the ground. Here it is close up. The decay is till present as you can see inside. The woody remains of the saguaro are called ‘ribs’ and are what supports the Saguaro cactus. Above, is a photo of a Saguaro that had just fallen. You can easily see the ribs. Whenever a Saguaro cactus would fall in a landscape setting, we would move it to an out of the way area where it could decay. Then we would take the ribs and put them back into the landscape as a display. Saguaro ribs are considered a beautiful accent in the desert landscape and are prized by many. Native Americans used Saguaro ‘ribs’ to build roofs, walls and even furniture. Another use was that they would make long poles that they used to knock off the Saguaro fruit, which is edible. Saguaro are not the only types of cacti that leave behind skeletons…. Teddy Bear Cholla (above), also has an interesting skeleton. Above, is a photo of a segment of Teddy Bear Cholla that is in the process of decaying. You can see the woody skeleton starting to show. Cholla skeletons are sometimes used as walking sticks. Artisans also use cholla skeletons to make southwestern forms of art. It is illegal to remove Saguaro and Cholla skeletons from the desert, unless you have permission from the owner. 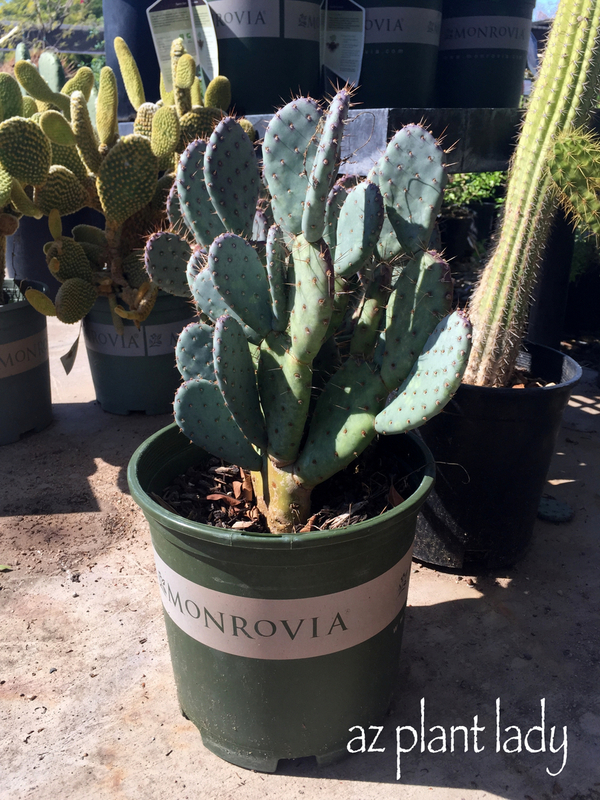 Specimens can sometimes be purchased at certain plant nurseries that specialize in cacti. So do as I do…..enjoy them out in the desert and take lots of photos. Succulents are some of my favorite types of plants. I especially like the smaller agave species such as Agave parryi, Agave victoria-reginae, and Agave bovicornuta to name a few. Let’s talk a little about how to care for cacti and succulents. 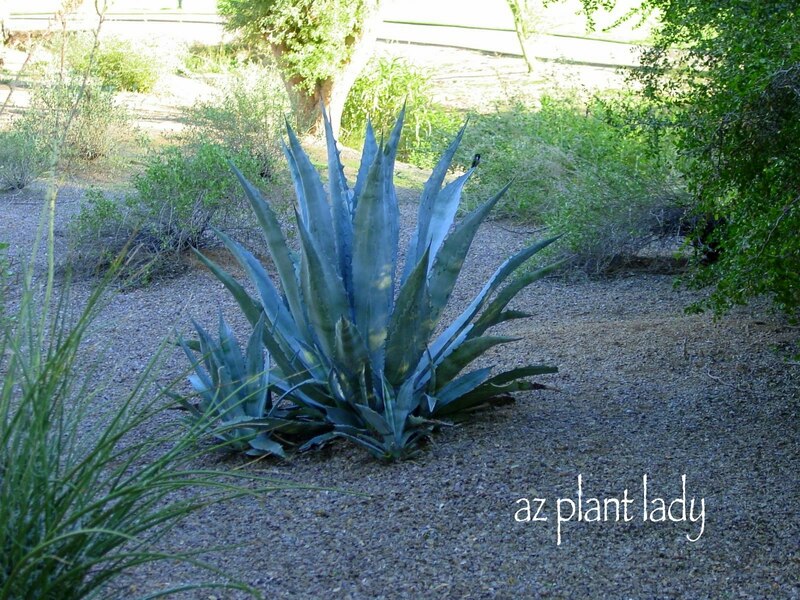 Agave, cactus, yuccas, as well as other succulent plants, can continue to be planted during this month. Warm soil temperatures are necessary for succulents to grow and they do best when planted during the warm season. Contrary to popular opinion, newly planted succulent plants need to be watered in order to become established and grow a healthy root system. Established cacti appreciate some supplemental water during the summer months, (especially this summer with our non-existent monsoon). I typically water large cacti with a garden hose about once a month in the summer unless we have had a lot of rain. Some cacti and agave plants may show signs of yellowing in the summer. This is usually due to high temperatures. Be sure to give them some supplemental water if you notice the yellowing. Usually, the yellow color disappears once temperatures cool down in the fall.